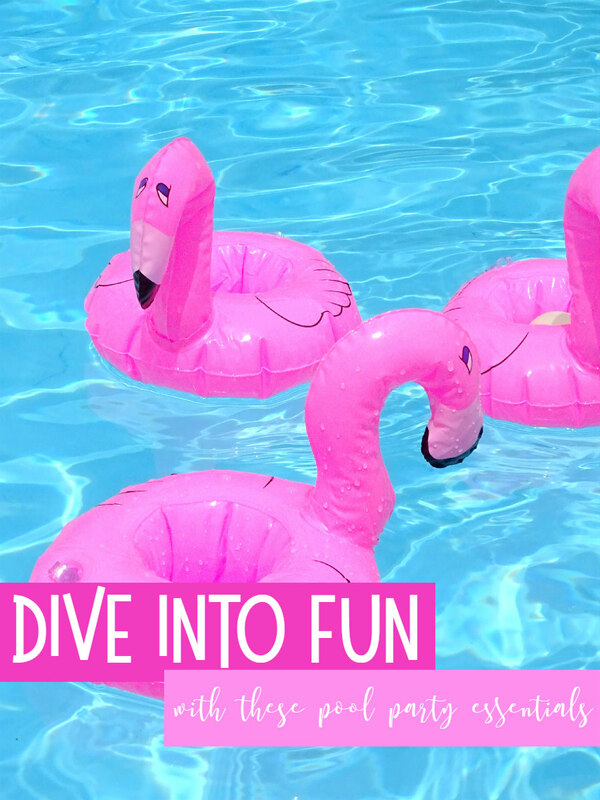 Want to keep the summer fun going with craft supplies, party supplies, pool toys, and more? Enter this Oriental Trading giveaway to win a $250 gift card! We’re almost halfway through July already! Hopefully, you’ve been having a ton of summer fun! If you’re like us, you might have a bunch of birthdays and anniversaries to celebrate in the summer. 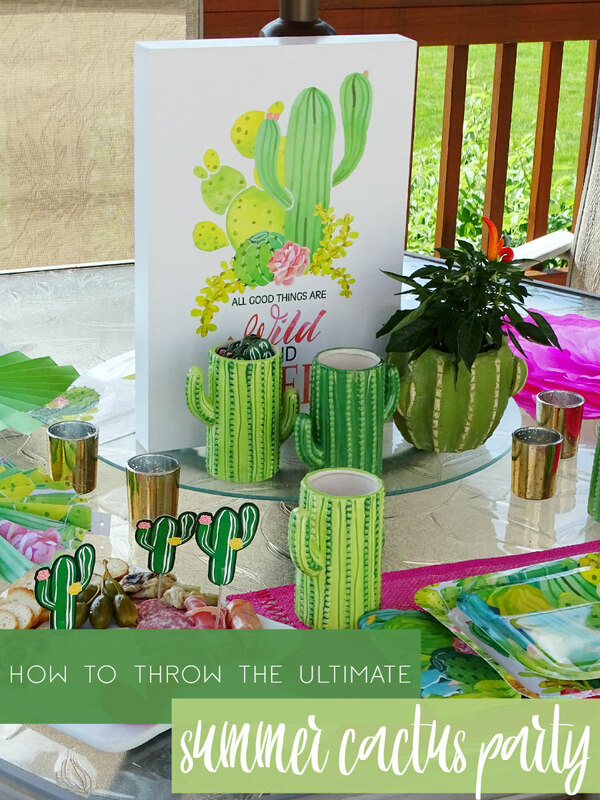 Or maybe you’re going through your list of crafts to make with the kiddos. Whatever you’re up to this summer, you don’t want to miss this giveaway that’s starting today! You could win a $250 Oriental Trading gift card! Just think about all of the craft supplies, party supplies, and pool toys you could get with that! Enter for your chance to win below! If you need a little inspiration on how to spend that gift card, check out these posts that I created as an Oriental Trading brand ambassador! This giveaway starts, today, July 11 and ends on July 25 at 11:59PM PST. The winner of this giveaway will be contacted directly by Oriental Trading and sent their prize within a week from giveaway’s end. Good luck! What would you spend this $250 gift card on? 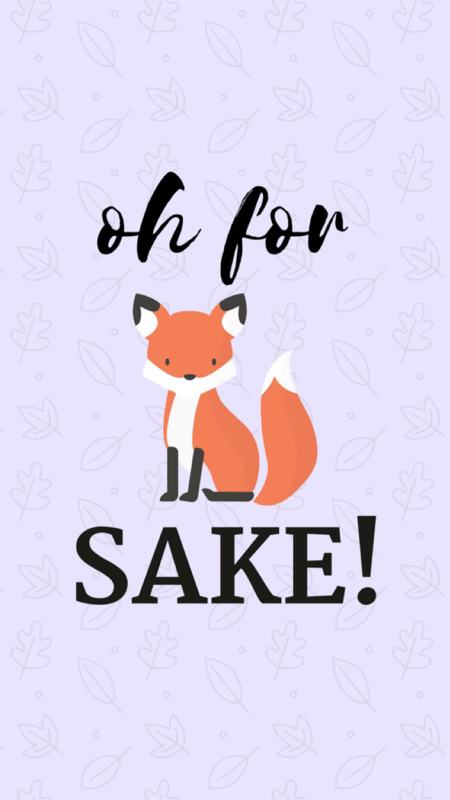 Win a Perfectly Posh September Mystery Box! I purchased product in exchange for this review and giveaway. No other compensation has been received. Opinions stated within this post are 100% my own. Happy September! Can you believe it? It’s almost Fall! You can definitely feel the change in seasons already here in New Jersey! The days haven’t been as hot and the nights have been a lot cooler. I’m loving it! One evening last week, we sat outside around our fire pit. It was nice to be outside in a hoodie and yoga pants again. That was, of course, until the mosquitoes came out and still found a way to bite us! We might have to wait a little longer until we use the fire pit again. At least until the bugs start to retreat once again for the winter. One thing I have noticed about the change in the air is the change in my skin. It seems like drier skin appears almost immediately as the weather changes. I find myself using a lot more lotion and my skincare routine tends to go further than just sunscreen and moisturizer. That’s why I’m happy I’ve discovered Perfectly Posh products! I was introduced to these products by a friend about a year ago and I’ve been a fan ever since! 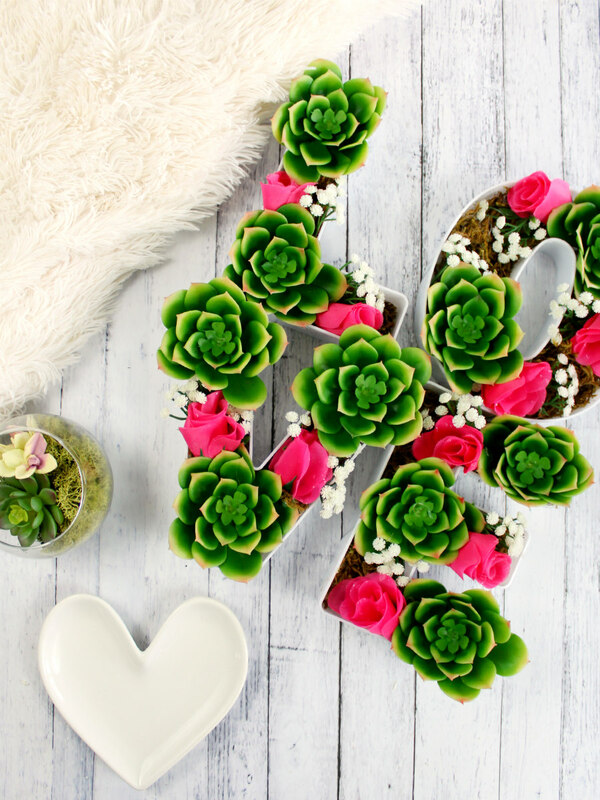 If you haven’t heard of Perfectly Posh, let me fill you in on a few things about the company. All of the products are naturally based and made in the USA. Posh is comparable to other companies like Lush and Glam Glow, but a lot more affordable! In fact, everything on the Perfectly Posh website is under $25 and most items are buy 5, get the 6th item free! Plus, there’s a Perks Program! You can earn free products through your birthday, invites, hosting a party, and shopping the Posh website! So I thought I would start a new month with a new giveaway! How would you like to win a Perfectly Posh Mystery Box? 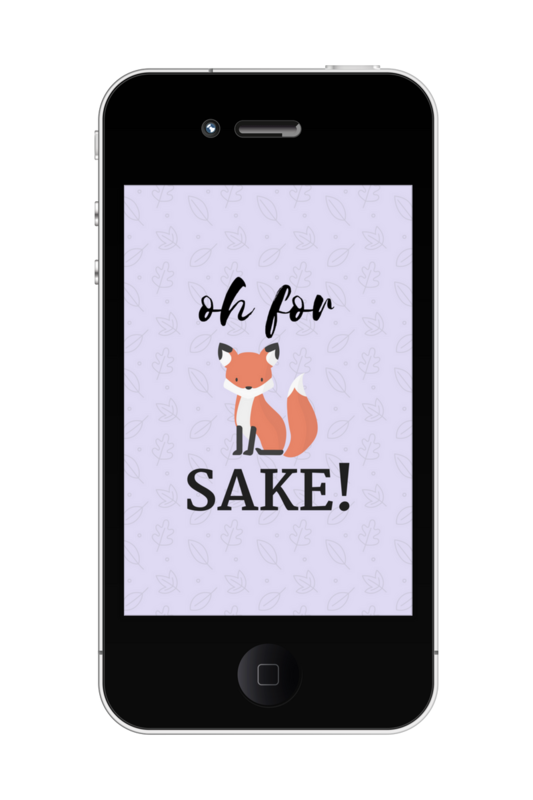 This is an exclusive item created by my Posh consultant, Christina. There is no subscription commitment. You can buy a one-time monthly mystery box from $15-$50! It all depends on how much Posh product you want in your box! Each mystery box has a monthly theme and also includes a bunch of other fun goodies! Let’s face it – the holidays are coming up and this would make an awesome gift for beauty lovers on your list! I love a good mystery box! So when Christina said she was starting these, I had to sign up for one! I got the $35 August mystery box. 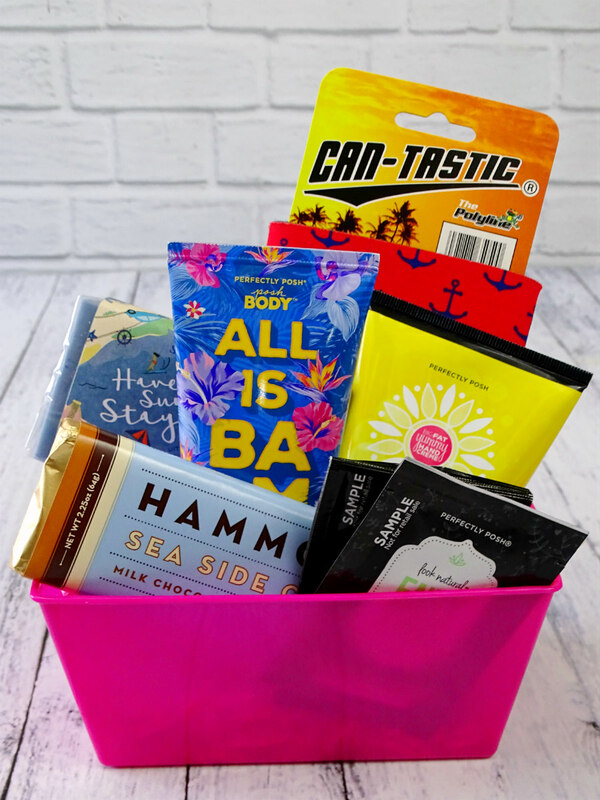 The theme of this box is “Summer Lovin’ Had Me a Blast!” Cute, right? 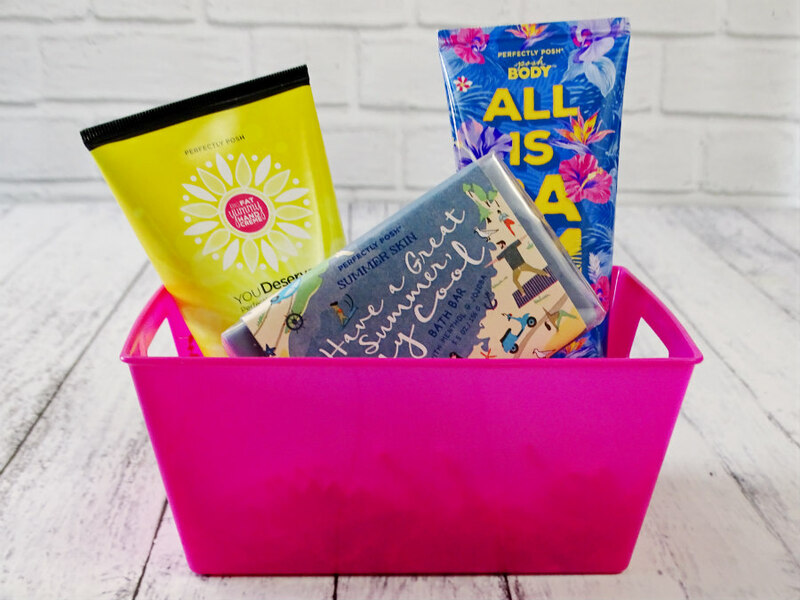 This box was definitely throwing off big summer vibes! It had three full-size Posh products, samples, and a bunch of other goodies inside! Christina basically knows what Posh products I’ve tried already. So I was excited to see what she added in the box for me! She did a great job with this box and I can’t wait to get my next one! I’ll break down what was in my box below, but don’t forget to enter to win a September box at the bottom of this post! I use hand lotion all throughout the day! In fact, I keep lotion in about three rooms in my house that I frequent and have one in my purse, as well. As a blogger who’s constantly posting recipes and DIYs on the blog, you know I’m constantly working with my hands! It’s so important to keep them soft and pampered. So I was really excited to find another Posh hand creme in this box. I use them ALL the time! They smell great and they’re super absorbent without being greasy. The “You Deserve It BFYHC” is a Posh consultant exclusive item. It’s a charity item that helps the You Deserve It Foundation. The foundation helps empower women and gives them the confidence to take on whatever life may throw their way! I’m all about “girl power,” so this was an awesome item to receive! Also included with this item was a letter from the founder and CEO of Perfectly Posh explaining what this foundation is all about! 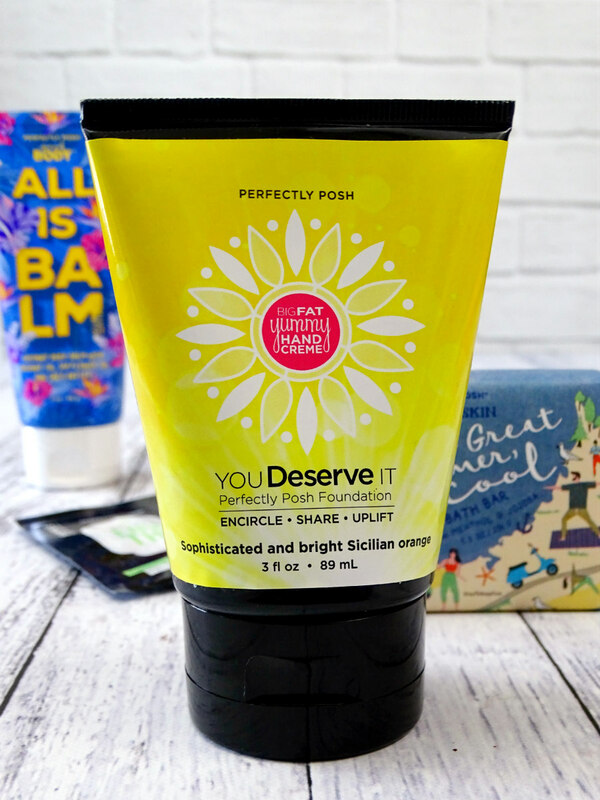 This item is totally new to me, but I knew right away that I would love it because I love coconut oil! It’s also made with safflower oil and shea butter, so you know it’s a super moisturizing product! 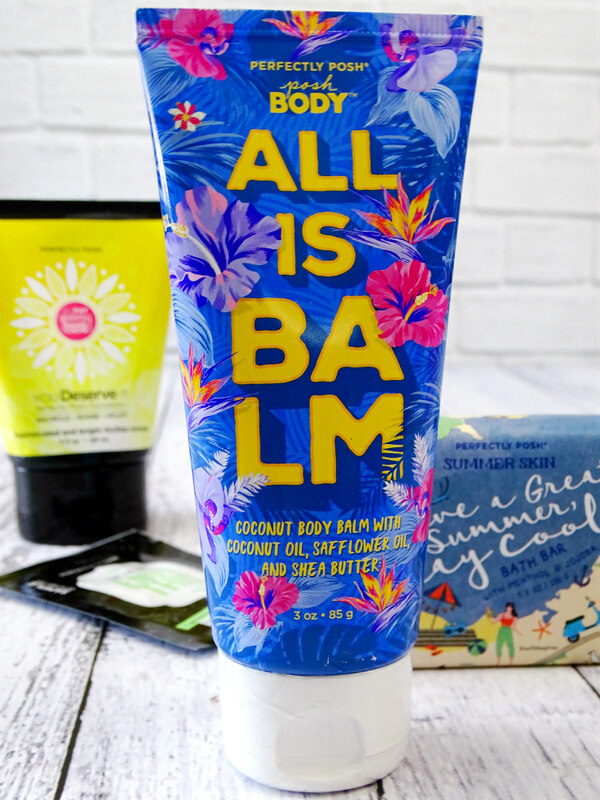 What I like about All is Balm is the fact that I can use it on my face, body, hands, and even my hair! This body balm will be great to tame those frizzy hair days while providing moisture and a pretty, light scent. It will be awesome to use during those harsh, winter months when my skin tends to get really dry and cracked. Posh came out with a Summer Store bundle earlier this summer. I have a contouring bronzer and face moisturizer from the collection. The Sun’s Out, Fun’s Out Replenishing Face Moisturizer is an amazing product to use after a day out in the sun! So I knew that would be equally amazing! 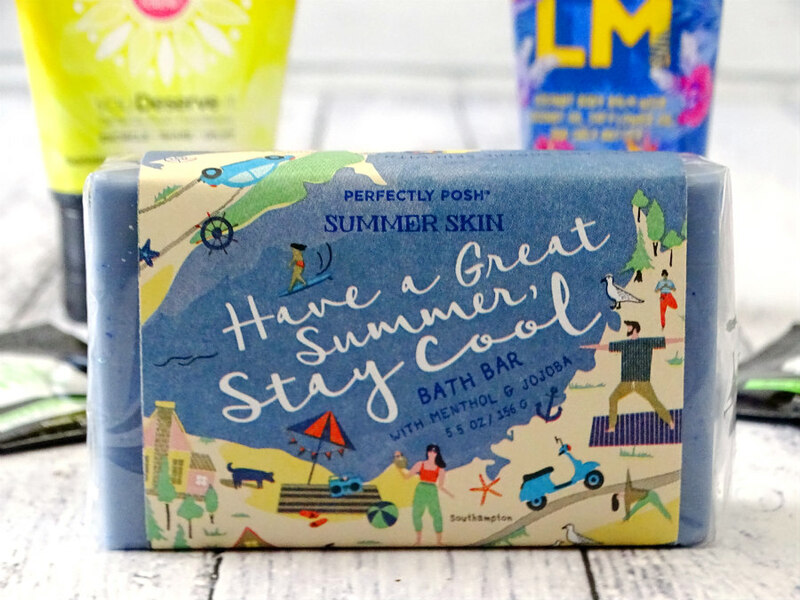 This chunk is made with menthol and jojoba to provide a cooling, refreshing feel after a day out in the sun. It smells extremely fresh, but not overly minty, which I love! This would be amazing to use after a day at the beach when you hit the shower and cool off! 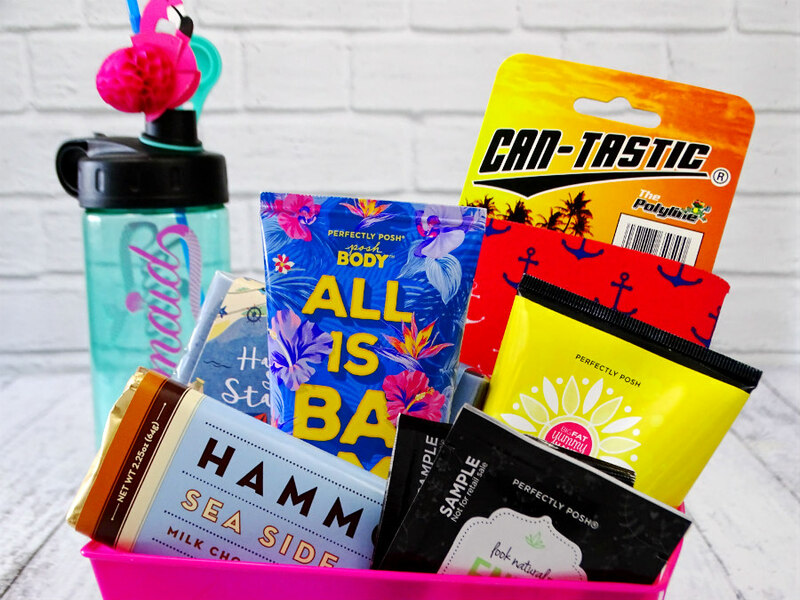 I also received a few other fun summertime items like a mermaid water bottle, flamingo straws, an anchor koozie, and a Hammonds Candies Sea Salt Caramel chocolate bar! The box also came with a couple Perfectly Posh samples to try and $5 Posh cash to use on a future purchase. Interested in learning more about Perfectly Posh? Join Christina’s Posh Pampering Facebook group! 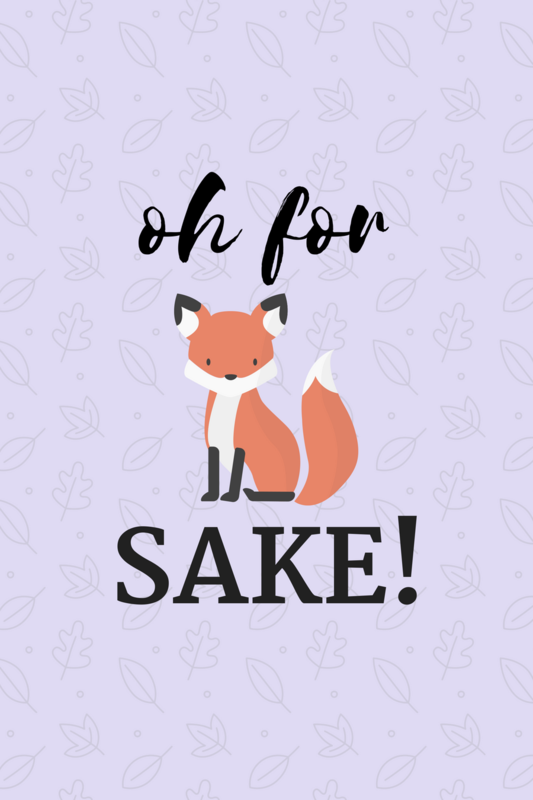 Now it’s time for you to win a Perfectly Posh September Mystery Box! Giveaway is open to US residents only. Contest ends on September 15, 2017 at 12AM EST. The winner will be chosen randomly through Rafflecopter. The winner of this giveaway will receive a Perfectly Posh September Mystery Box worth $35 shipped by the Perfectly Posh consultant. Good luck! Thank you to Hamilton Beach for providing me with an Indoor Searing Grill. No other compensation has been received in exchange for this post. I am a Hamilton Beach brand ambassador, however all opinions stated within this post are 100% my own. I have been counting down the weeks until my husband’s bowling league is out for the summer. We’re down to about four more weeks. I’m not just excited to have my hubby all to myself again on Friday night, but I’m excited to hang out in the backyard around our charcoal grill. Friday night is our designated pizza night since it’s a quick and easy meal before my husband goes bowling. That doesn’t change much during the summer. Instead of delivery or making pizza in the oven, we cook our pizzas out on the grill. 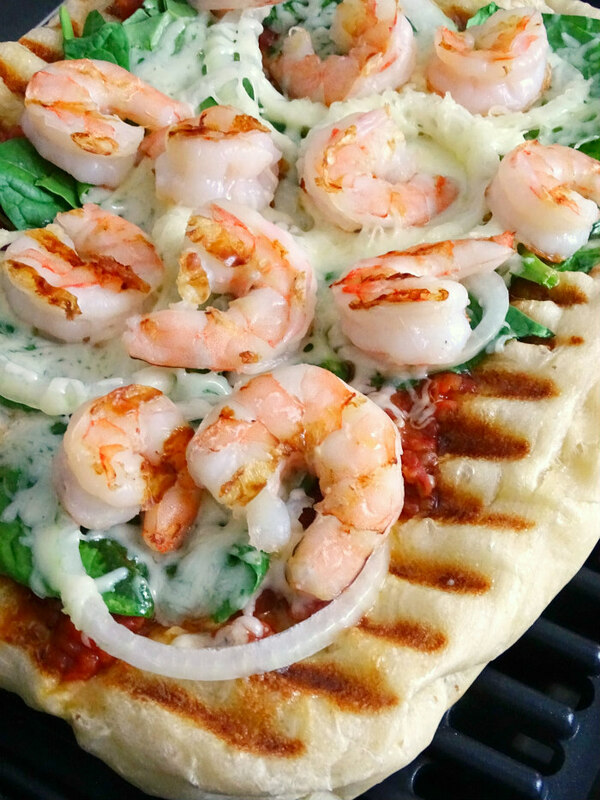 Everything tastes better on the grill and the same goes for pizza! So I was thrilled when Hamilton Beach sent me their Indoor Searing Grill. I knew I was going to have fun with my new appliance! Especially since there are still a few more weeks until we get back to grilling pizzas outside. In the meantime, I’ve managed to grill a few pizzas with the Indoor Searing Grill! The moment I got the Indoor Searing Grill, I knew that I had to try to make a pizza on it. I wasn’t expecting it to be this easy! The best part? I had a hot and airy pizza that was ready in just minutes! I tested my pizza making skills on this grill with a plain, cheese pizza the first time around. Then, I decided to step up my game with a pizza that seemed pretty fancy, but took minutes to make! Since I love getting creative with our pizza toppings, I wanted to make a pizza with light, fresh flavors that would be perfect for summer entertaining. During the summer, I love sitting with friends and family in the backyard and enjoying small bites of food over a glass of wine. 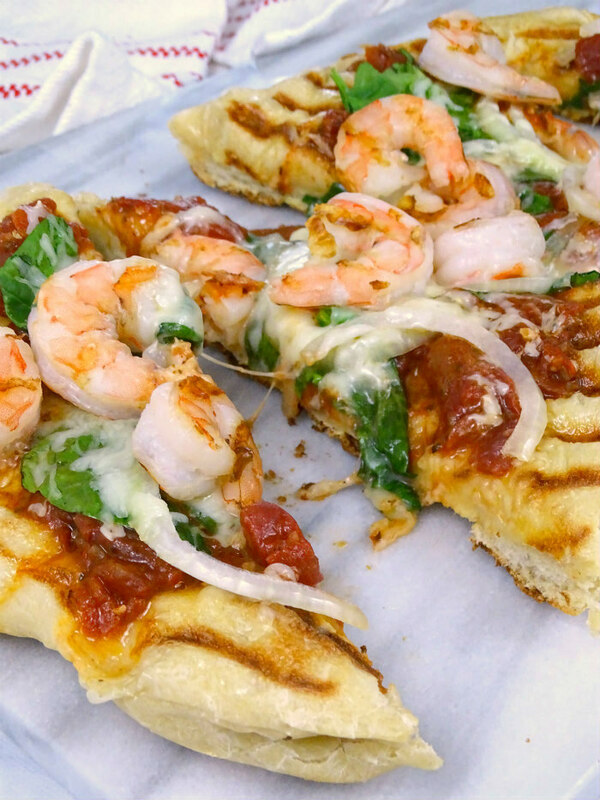 Shrimp is a summer favorite, along with bruschetta. So I decided to put the two together on a truly delicious grilled pizza! 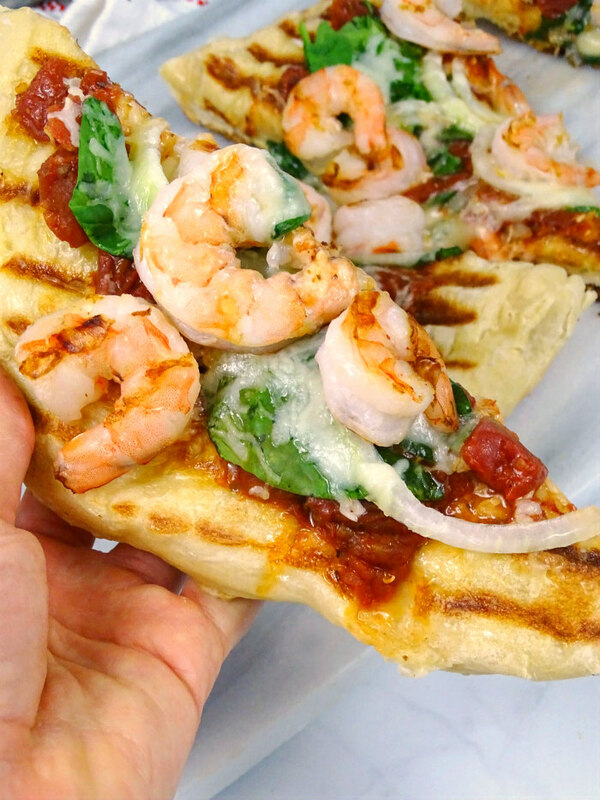 Think of this pizza as a giant bruschetta. But instead of just grilled bread with a tomato and olive oil topping, I’ve added fresh onion, baby spinach, and large shrimp. 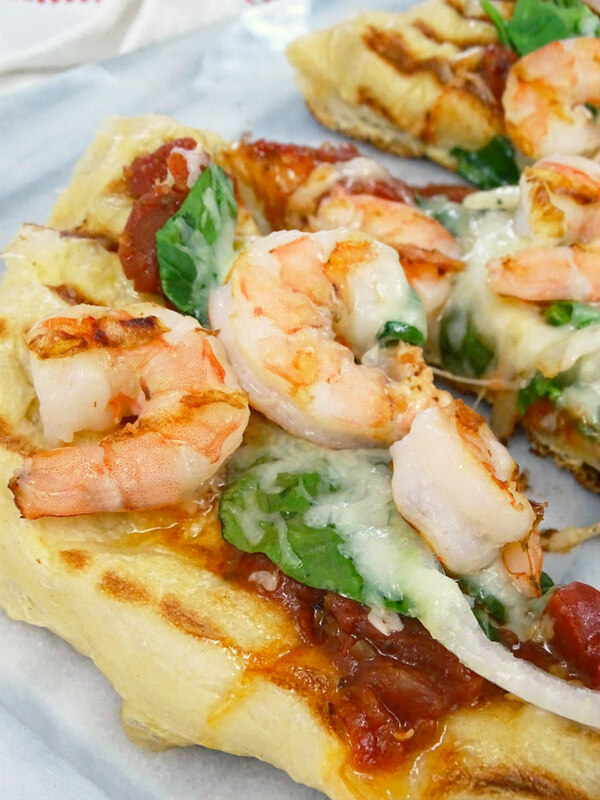 You could certainly use precooked shrimp for this pizza. 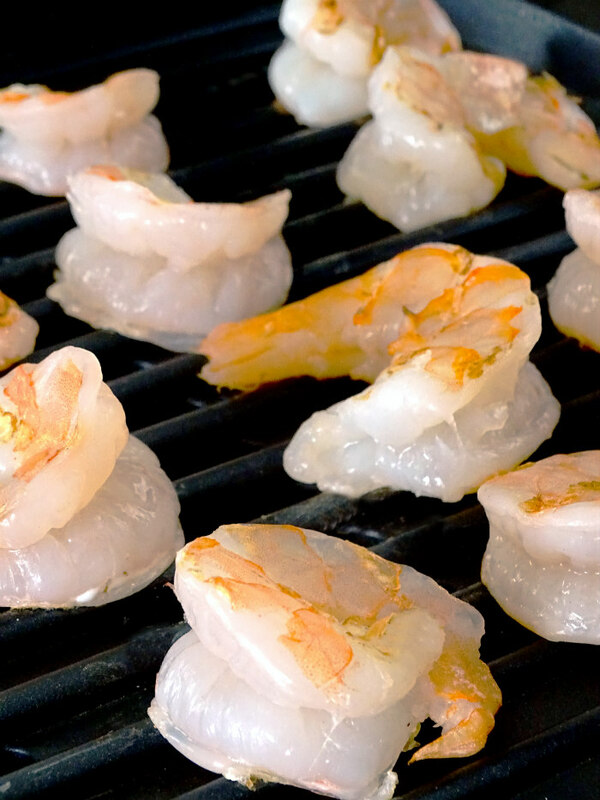 However, I wanted to see how shrimp would grill on the Indoor Searing Grill, so I cooked them first. 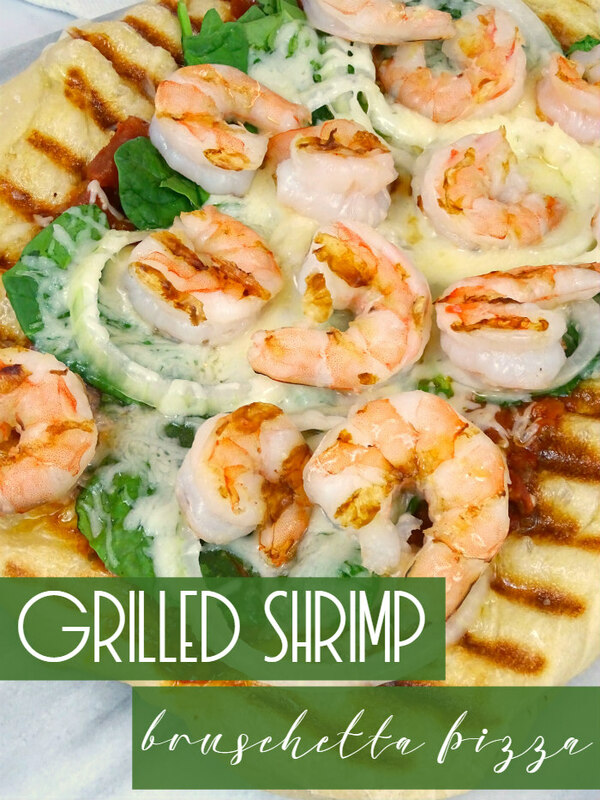 To make the shrimp, I simply preheated the Indoor Searing Grill to 350º. I placed them evenly across the nonstick cooking plate and allowed them to cook through on each side. I removed the shrimp from the heat and wiped down the grill plate while it was still hot. Then, I got to work on my pizza. I preheated the Indoor Searing Grill to 350º again and began to stretch my dough. A note about working with store bought pizza dough: leave it out on the counter for about 20-30 minutes before cooking to let it rise. Then, go ahead and start stretching it. Once my pizza dough was stretched, I brushed it on both sides with olive oil. It only took a few minutes for the bottom to start getting nice grill marks. After flipping it, work quickly to get your toppings on. You want the cheese to melt while avoiding to burn the bottom of your crust. However, the Indoor Searing Grill kept the temperature consistent so I wasn’t too fearful about that happening as quickly as it might when we’re cooking outside. 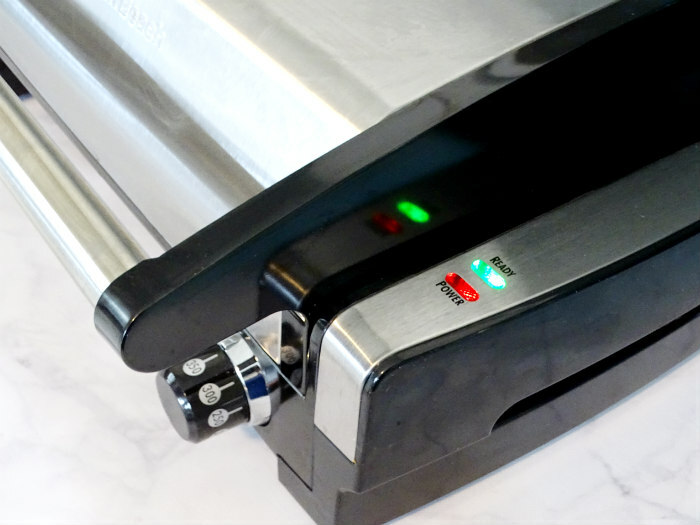 The Indoor Searing Grill’s sleek design makes it compact enough to keep in the kitchen. It’s easy to use. Just plug it in and heat it up using its adjustable temperature setting that goes from 200º all the way up to a searing 450º. The nonstick grilling plate is removable and the drip tray slides out from underneath the grill for easy cleanup. So far, I’ve used the Indoor Searing Grill to grill boneless chicken breasts, sear a pork loin, and even make a grilled cheese. This has quickly become one of my favorite kitchen appliances to have on hand. I can’t wait to experiment with other recipes using this grill! Preheat Indoor Searing Grill to 350º. Oil pizza dough on both sides. Place pizza dough on the grill. Cook for 3-4 minutes or until golden brown and grill marks are achieved. Flip pizza dough and, working quickly, top with bruschetta. Next, add baby spinach and onion slices. Close the grill lid and cook for 5-7 minutes or until cheese is completely melted and pizza dough is cooked through. Slice pizza and serve immediately. 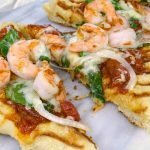 This grilled pizza is perfect for seafood lovers or when you’re just craving a something a little different on pizza night. It’s so easy to put together and you’ll have a delicious, crunchy pizza that’s ready in just minutes! Want to try this recipe for yourself? Don’t wait for summer to heat up the grill! The Hamilton Beach Indoor Searing Grill is available at Walmart. However, you’ll have a chance to enter to win your own Hamilton Beach Indoor Searing Grill for yourself below. Good luck and happy pizza making! Want to get grilling with your own Hamilton Beach Indoor Searing Grill? Enter to win one below! Giveaway ends on May 11, 2017 at 12AM EST. The winner will be chosen randomly through Rafflecopter. Winner will receive a $400 of their choice to either Target, Nordstrom, or Sephora.